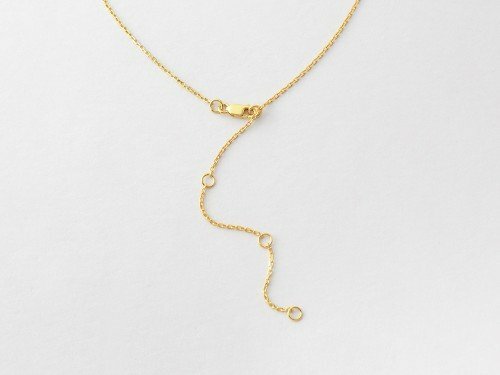 This drop bar necklace with name is an elegant, subtle interpretation of the classic nameplate necklace. 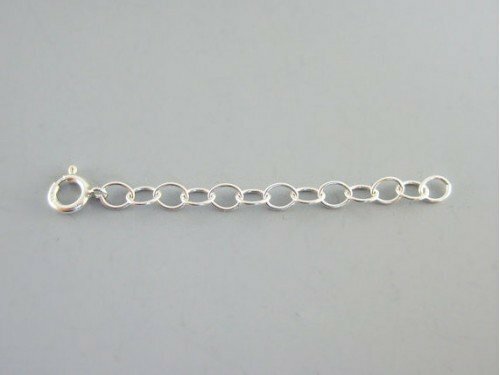 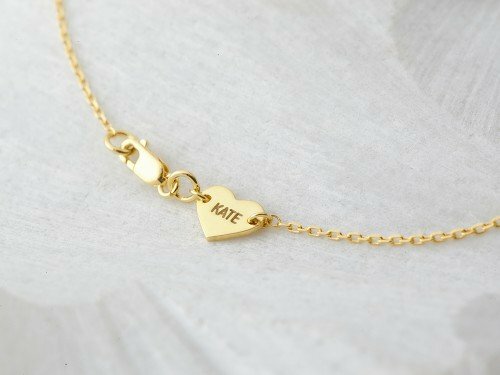 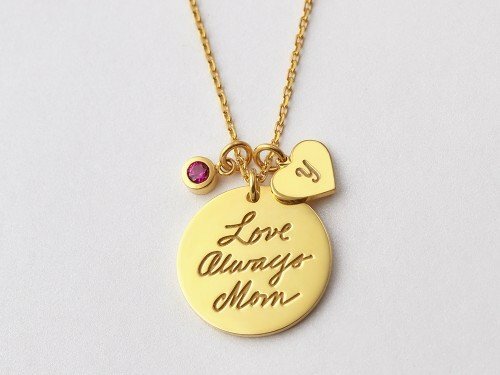 This is one personalized name bar necklace that is suitable for people of any age, from teenagers who want to stay on trend and layer necklaces to mothers who want to stay simple and classy. 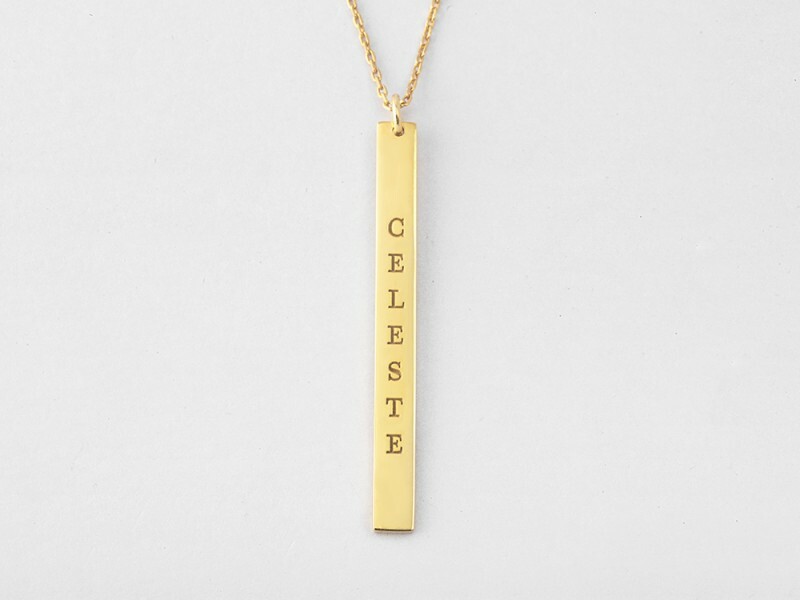 Available in sterling silver with 18K rose and yellow gold plate options, this beautiful vertical name necklace will make great gift for bridesmaids, mothers and daughters alike.